There's a graph most new media gurus have adopted as fact. It’s the Diffusion of Innovation graph. A simple parabolic curve, shaped like a camel’s hump. They use it to describe the way people adapt to technology. Most important for them is the five sections it breaks people into. Starting on the left, the first and smallest section is INNOVATORS (at 2.5 per cent). These are the people who will queue outside Apple for days whenever there’s a new product launch. They love new technology for its own sake. For them what’s crucial is being the first: not missing out. Next along are the Early Adoptors (at 13.5 per cent): they like something new if they’re convinced it’s an improvement on what exists. They’re more thoughtful, so they tend to be the opinion leaders. Next is the big one: the EARLY MAJORITY (at 34 per cent). They’re open to something new, but only as long as they can see a genuine benefit to their lifestyle. After them comes the other big group, the LATE MAJORITY (at 34 per cent). They are not looking to upgrade, they are sceptical of change. But, with peer pressure, they’ll change if their doubts are resolved. Finally the LAGGARDS (at 15 per cent): they resist all change. They tend to be poorer and older and want things to stay the way they are. This is the Diffusion of Innovation curve that new media gurus use to explain how people adapt to technology. It actually describes how people behaved a hundred years before any of their technology existed. Before new media, before computers, before electricity. Because innovation is not synonymous with their technology. Fire was an innovation, so was the wheel, so was movable type, so was soap, so was the steam engine. The chart doesn’t describe their new technology. It describes how people work, how people have always worked. It’s not a technology curve, it’s a people curve. The concept of Diffusion of Innovation was first studied in the late 1800s by a French sociologist, and two German anthropologists. In the 1920s in America it was studied as a means of understanding how farmers were adapting to new hybrid seeds. In the 1940s in Iowa, it was used to understand the adoption of hybrid corn seed. And in 1962, a professor of sociology formed 500 of these studies into that graph, combining rural anthropology, sociology, education, and medical studies. But most new media gurus don’t even know that part. Because they belong on the far left of the chart. In the part labelled INNOVATORS. The part that doesn’t care about anything except whether or not something is new. The part that isn’t interested in genuine benefit for the mass. The part that only accounts for 2.5 per cent. 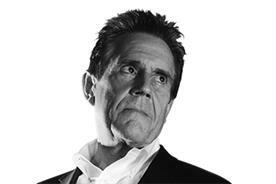 A view from Dave Trott: Is big data the answer?